← Bunt Tip of the Day – How Important is the Die Cut Sig Set? Huddle Tip of the Day – How Important Are the Milestone Cards? One of the new features of Huddle this year is the addition of “Milestone” cards, which feature the accomplishments that many players achieve over the course of the NFL season. So far, we have seen crazy important feats get recognized, along with a few that may only matter to a team or specific group of players. Either way, I really like them, as they represent the best play in each category they represent. With the release of Michael Vick’s Milestone last month all of the cards have transitioned over to a 5x boost, which makes these cards VERY playable in the current state of Huddle. With many of the players who achieve these feats being the best at their position, all of a sudden, these are very valuable play cards. Even though the accomplishments may be minor in comparison to other milestones also commemorated, who cares? I will never turn down an opportunity to chase another 5x card for my arsenal. This is where things can get VERY dicey. Many of the Milestone cards are extremely rare at 100 or less copies. With some at even below 50 copies, the team and player collectors go nuts trying to get them all for their players. That creates a huge economy for the cards among the team collectors that chase them. I have seen the rarer ones go for big boosts or nice sigs, and it all depends on active coin rewards and boosts attached. After the coins are given out, these become much more easy to obtain, but the 5x and overall rarity still makes them very valuable in their own right. Milestones happen quite often by Huddle definitions, as we have seen. Although we have gotten Milestones for huge records like the Manning Passing TD mark, we have also gotten team records and other lesser accomplishments. Although I will not deny that some records are worth commemorating more than others, its clear that the cards are valuable regardless, just that some Milestones that signal bigger feats get residual value mixed in. Im good with that. I would not be opposed to special embellishments for major records on the milestones that are created, but that’s pretty nit picky. 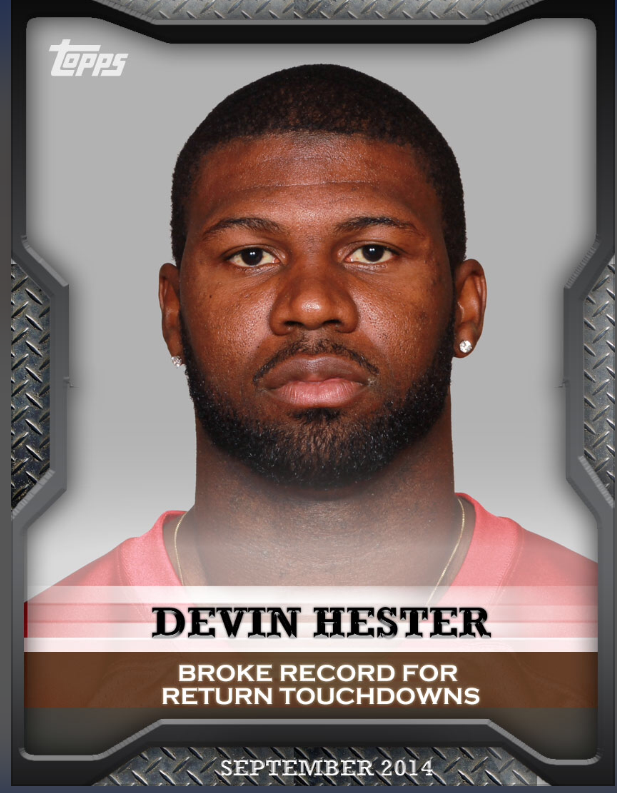 2014 Huddle Boost and Insert Checklist – UPDATED FREQUENTLY! This entry was posted in Uncategorized and tagged Football Cards, Huddle, Sports Cards, topps, Topps Huddle. Bookmark the permalink.